Today’s Bible Reading – Where Does One Start? Today’s Bible Reading… is it from the Old or New Testament? How many verses do I need to read…. or must I read the whole chapter to get the context? How much Scripture is enough? These are questions all believers may consider, especially new ones. What is not in question though is how important it is for all believers to read the Bible daily as it directly reflects your spiritual growth. This is because God’s Word is alive and as you read the Scriptures you will hear Him talk to you in ways you could not have imagined. God can speak to you through anything but mostly He speaks through His Word. So where do you begin? You could of course just start reading the Bible from cover to cover and many people do that each year. However I’ve often heard it said that a new believer should start by reading the Gospel of John. This lays a firm foundation. It is simple and easy to understand especially if you use a modern translation. So, rather than starting out with the complexities of some of the Old Testament books or the Book of Revelation, start with the story of Jesus and what He has done for you and build on that revelation as you progress. If you need assistance consider using a daily devotional. There are many available with something to suit everybody. 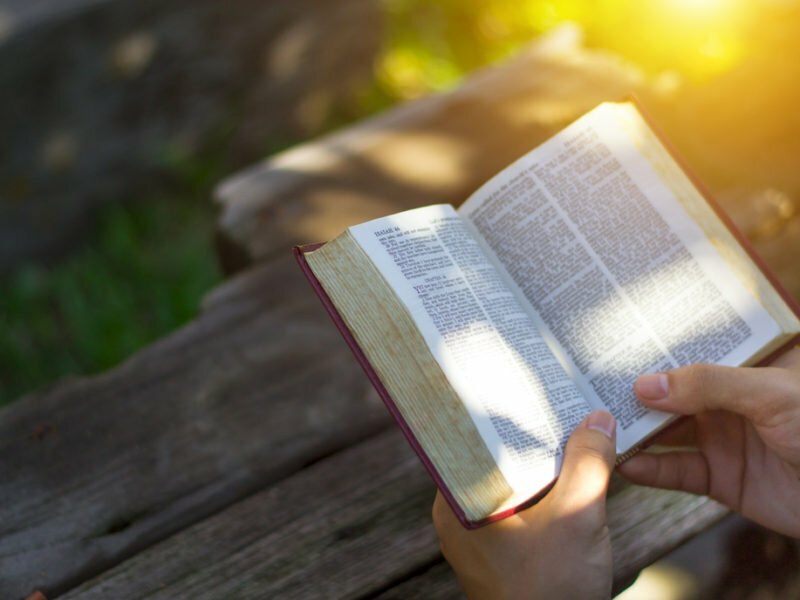 They can range from looking at one key scripture with a correlating thought to apps that help you read the whole Bible in a year, with portions from the Old and New Testament, Proverbs and Psalms. The Word For Today is a free, daily devotional written by American Christian pastor Bob Gass and published worldwide by United Christian Broadcasters (UCB). Over 3.5 million printed copies are distributed quarterly around the globe. It includes a verse for the day along with a challenging message to encourage you. The Word For Today can also be accessed online and heard on UCB Radio. Today God Is First (TGIF) from Os Hillman provides four distinctive devotionals online each day, designed to encourage you and invite you into a more intimate relationship with God and strengthen your daily walk with Him. You can choose from four different themes daily: Overcomer; Living Faith At Work; Listening to the Father’s Heart and TGIF The New Generation. The Bible In One Year 2018 is a leading daily Bible reading plan. Each day, you receive a reading containing a Psalm, portion of Proverbs; a New Testament section and Old Testament section. Nicky and Pippa Gumbel then provide insightful commentary. Nicky is the vicar of HTB Church in London and the pioneer of the Alpha Course. Th plan is available on the YouVersion app along with many other daily devotions some of them themed around particular topics. Read more.